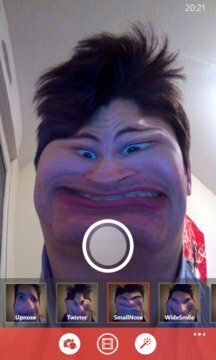 Warp Photo Booth : your daily dose of fun! Just launch the application, and take a picture with a very funny distortion effect! - Choose between 16 warp effects. - Switch between the two cameras (if available). - Live preview and control of the effect. - Confirm a warpie before saving it. - "My warpies" : your personal gallery. - See each warpie one by one in full size. - And so much fun! 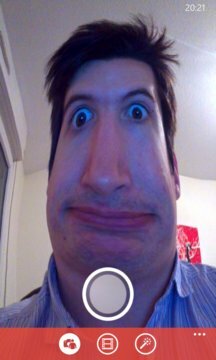 Warp Photo Booth contains in-app purchases.